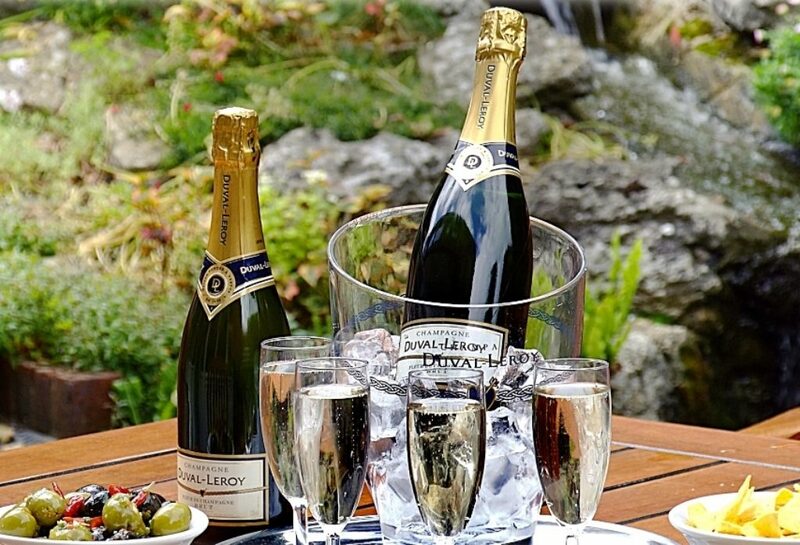 Choose The Brookfield Hotel to celebrate a special anniversary or enjoy the company of family and friends. Our experienced and dedicated team will work with you to create the most memorable of occasions when celebrating any special event including Baby Showers, Christenings, Baptisms, Bar Mitzvahs, Birthday parties, Reunions, family gatherings – any occasion you can think of. Contact Jamie Drew on 01243 373363 or jamied@brookfieldhotel.co.uk to discuss your dream event. The Brookfield Hotel, Emsworth located between Portsmouth and Chichester is the ideal venue for your Festival Weekend on the south coast. With many wonderful surrounding attractions, including horse racing at Goodwood, shopping at Gunwharf Quays in the maritime historic city of Portsmouth or strolling through the beautiful Cathedral city of Chichester, you can never be bored here. Alternatively, you can relax and unwind with friends in our comfortable lounge and garden. Emsworth itself is a unique fishing village on Chichester Harbour, with an array of shops and restaurants to tempt you. Boat trips around the harbour and feeding the many swans on the Millpond are also delightfully laid back activities. The Brookfield Hotel is happy to offer Ladies Festival Weekends in 2 styles, both as relaxed or formal as you wish. If you do not wish to download the package, please contact Jamie. He will be happy to answer all your questions and send you an Information Pack. Afternoon Teas at The Brookfield are freshly prepared and baked that morning served to you in our elegant lounge. Plain and fruit scones served with raspberry jam and clotted cream. At The Brookfield Hotel we aim to provide the highest levels of care and attention to all our guests. We feel this is particularly important when we are making arrangements for bereaved families and friends. Our staff will be happy to take care of all the requirements in a discreet and understanding way. We can offer a range of function rooms, private rooms for 10 up to 150 in our elegant Hermitage restaurant. Our bar and patio garden are also available. As are 42 en-suite bedrooms for guests, should an overnight stay be needed. We can arrange buffet style or sit-down meals, as preferred; and we provide a wide range of menus. Our food is skilfully cooked, using the best local ingredients, by our chef and his brigade. Wine and other drinks can be included in the arrangements. Alternatively guests can be served at the bar. Special breaks for U3A groups and members. Sensational Hampshire and sintillating Sussex to visit and enjoy, while staying at the superb Brookfield Hotel in sunny Emsworth. 2, 3, 4 & 5 night breaks are available. 2 active local U3A groups in Emsworth, if you wish to make contact with them. Our experienced tourism guide, can help your organiser through the hurdles of arranging an interesting holiday without tears. We are happy to help you in any way you need and are able to offer advice on interesting places to visit; make the necessary contacts if you require and assist in making bookings if required. We will be happy to send out the information pack immediately you decide to contact us. "I was the organiser of a Ladies Festival held at your hotel over last weekend and it would be very remiss of me not to tell you of my experiences. It was without doubt the best experience I have had of a weekend ladies festival from the time of my first contact with Jamie Drew, my 'secret' visits to check out the hotel, my 'official visit' to stay a night to the actual festival itself. Your staff are, without exception, polite, efficient and knowledgeable. The accommodation was clean and comfortable and the catering first class. Let's deal with the check-in. So smoothly run, pick your meal for that evening so that when we sat down for dinner that too was very smoothly run and the food excellent. We ran a quiz night after dinner (Jamie’s idea) and it ran very efficiently. Everything the hotel could do to accommodate us was done. The actual ladies festival itself. We were a little late starting (through no fault of the hotel) and the banquet and service were excellent. If I could give a 'positive' negative, there were probably too many courses! and next time I would seriously consider dropping a course! To sum up. You have a great hotel, great staff, great catering.....and we loved your bar!" "Many thanks for your hard work and that of your staff which made our Ladies Festival such a success. Everything went perfectly and everyone spoke very highly about the hotel and standard of the meals which were superb. I hope you were happy with the way things went and I look forward to our next one at the Brookfield. Thanks again and would you please pass on our thanks to your staff." "On behalf of Queen Mary's Lodge, we would like to thank you for making our ladies festival a great success. You and all your staff made us feel very welcome in both a professional and friendly manner. Several members have already commented that this year's festival was one of the best and they look forward to returning to your hotel next year. As festival secretaries, Angela and myself would like to take this opportunity to personally thank you Jamie, for you time, effort and guidance, which has been invaluable to us. Please pass onto your staff at Brookfield Hotel our grateful thanks, and look forward to seeing you all next year." "I am writing to express my thanks for the wonderful weekend you laid on for us for our Lodge Festival. The organisation was superb both before and during the weekend, the food was outstanding all weekend, the function room was stunning on the Saturday night and above all else your staff were absolutely outstanding. I cannot speak to highly of the friendliness, courtesy and helpfulness of every member of staff we encountered, would you please pass on our thanks to all of the team. Without a doubt we will be using your Hotel again in the future. With very best wishes to all at The Brookfield." Guaranteed to get you into the Christmas spirit. The Hotel will be filled of local talented craft people selling their creations for you to purchase for presents or treat yourself. The last two years have been very popular so do not miss out. Here are the dates for our very popular Christmas Party nights. Disco party nights are £35 per person, inclusive of a three course dinner, Coffee and then dance the night away to our resident DJ. Host your Christmas party between Christmas and New Year, something to look forward too after the Christmas rush. If you book either one of these dates your guests will bonus from the added extra of being greeted on arrival with a glass of Prosecco and served a glass of wine during dinner. Minimum numbers of 60.